The OD-10 Clip and Flip Magnifiers from Carson are a set of wearable glasses magnifiers designed to be easily "flipped" up and away when not in use. 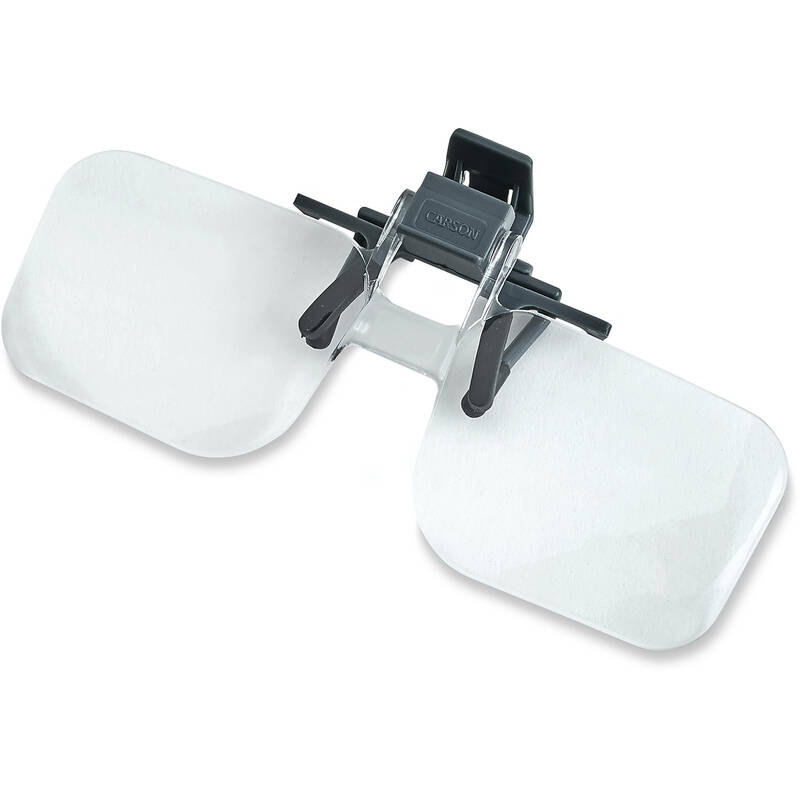 The magnifiers use a sturdy and durable clip to attach near the bridge of nearly any pair of glasses and include a storage case for protection when not in use. They feature a magnification factor of 1.5x and are equivalent to a +2.25 diopter. Weighing just 0.6 oz, the Clip and Flip can be easily worn without noticeable weight and can be easily integrated into daily activity. Box Dimensions (LxWxH) 7.7 x 3.4 x 0.3"